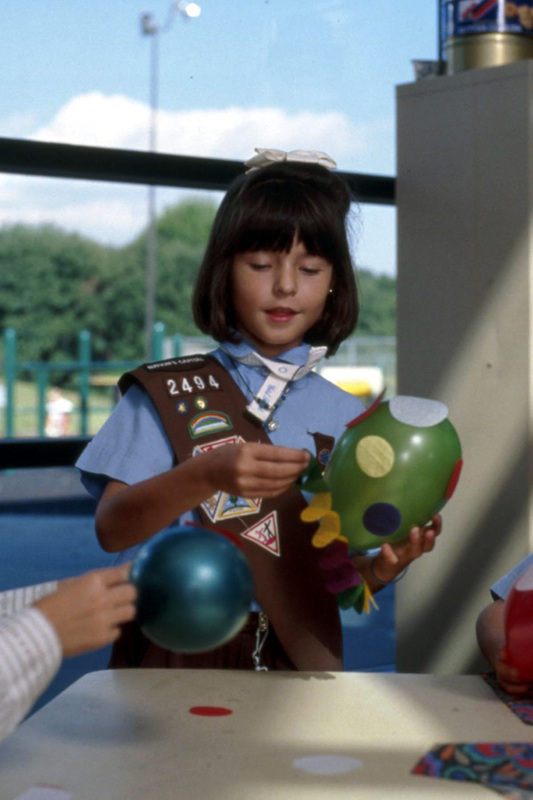 A Girl Scout works on an art project in a RECenter. This blog post is my first. That means I’m open to the possibility of any result ranging from a great success to a disaster. That’s quite fitting, as it follows my first Girl Scout meeting as a Girl Scout leader. Don’t misunderstand. I have been leading Girl Scout programs and helping scouts, both boys and girls from ages 5 to 17, fulfill their requirements for badges for more than 10 years. Six of those years were with the Park Authority while I was based at Cub Run RECenter. I have always enjoyed teaching scout programs, especially programs for Girl Scouts. I love to tell them that I am a scientist and a girl, and that I get paid to go to summer camp with friends every year. I love reminiscing about when I was a scout. In those memories, I went to sleep-away camp, toured fast food restaurants and learned about other cultures. I love scouting and all it stands for. However, it is a whole new thing to be a scout leader. I thought my experience leading Girl Scout badge programs would make this a snap, and that my girls could save some money because I could lead their badge programs. But Girl Scouting is so much more than that. I thank God for my two (yes, two) co-leaders. I won’t even go into the paperwork and training requirements, and any Girl Scout leader reading this blog is probably nodding along at this point. During my first meeting as a leader, I asked the girls what they wanted to do as Girl Scouts. The GSUSA is very adamant that we encourage the girls to lead in any way possible, even my kindergarten troop. The girls chose a nature walk. With my past experience, I could guide that. Then they chose singing and dancing. I could guide that. Then they said gymnastics and a tea party and a bike rodeo. 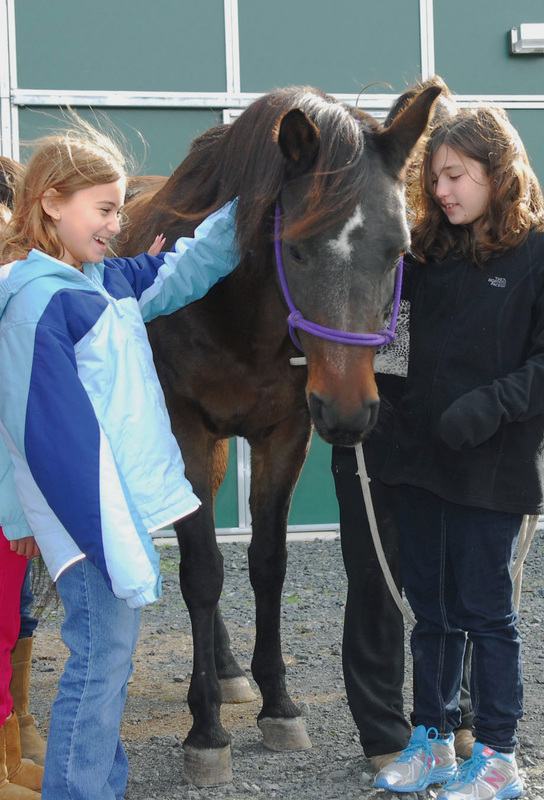 Girl Scouts meet a horse at Frying Pan Farm Park. It was then that I knew how a troop leader feels. That also was the moment that I understood why scout leaders come to this vast pool of resources called the Park Authority. I have a new resolve in my position with the Park Authority to give those scout leaders and their scouts the best possible experiences of nature in my role working with our nature centers, and I am resolved to encouraging other park sites, like RECenters, to offer scouting experiences in which those site personnel excel. No one person can do it all. No one park can do it all. But it sure is great to know that the parks are out there looking for ways to help scouts have positive experiences, try new things, learn new things and to participate in their world. 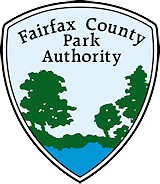 Written by Tammy Schwab, manager of education and outreach for the Resource Management Division, Fairfax County Park Authority. Scout leaders can find programs for scouts at Parktakes Online. Type “scout” in the keyword search box. This entry was posted in Uncategorized and tagged Girl Scouts, GSUSA, scouting, scouts on November 21, 2012 by Fairfax County Park Authority.